I reached out to you last November regarding your practice taking care of my mother (Phyllis V.) as we moved her into Spring Arbor’s Assisted Living Facility in Raleigh as her dementia progressed. The staff assigned to Spring Arbor are dedicated & caring to my mother as well as the other residents & this is certainly appreciated. Dr. Narine has gone above & beyond what’s expected from him in his duties. He and the other staff, especially Brittany McKinney (not sure of correct spelling) take a keen interest in the residents. Both of your staff always respond to any questions I’ve had over the past several months & are dedicated to their profession. Please forward my appreciation to your staff & we sincerely appreciate your firm’s dedication to the folks at Spring Arbor. You answered our email request for a visit while on the plane, flying home from Japan. You arrived late at night and came to us the next day, even after some confusion on our part. How fortunate we are to have a doctor who is so incredibly competent and responsible… and has such astounding stamina. What you did was an act of grace and a work of art. Here’s a quick report on what happened when you visited. No words exist that fully express the gratitude in our hearts. So I’ll just send you a great big hug. 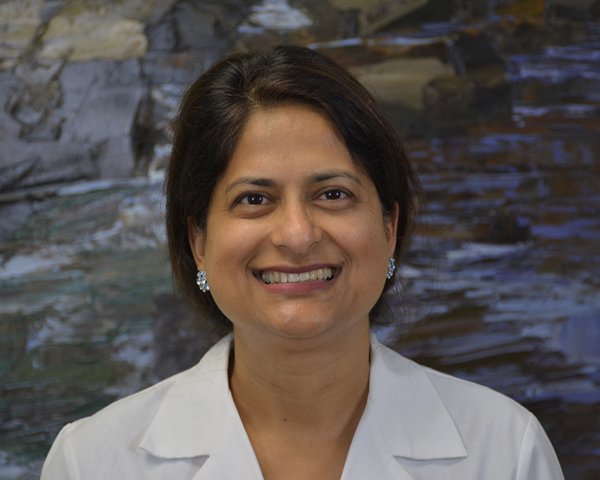 We have nominated Dr. Bhagalia for “NC Doctor of the Year”. Whether she receives that recognition or not, she will always be “Doctor of the Year” to us. R. PAUL AND MARGUERITE W.
THE FAMILY OF VIDA P.
My 96-year-old father and I cannot be happier with the care he receives from Julianne Beach of DMHC. She’s caring, kind, and professional. I had to have a podiatrist evaluate a problem I had with my right big toe. 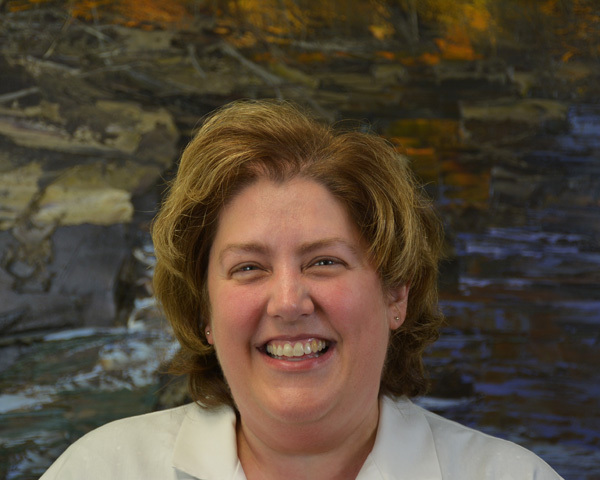 [Dr. Jennifer Galaway] is excellent in providing you with what the problem is and my options to handle this problem. I so appreciate her allowing me the chance to be part of the solution. It is a great experience to be a patient at DMHC. Doctors Making Housecalls have been wonderful! My mom was recently diagnosed with Dementia & we had to move her to assisted living at Brookdale in Wake Forest. They are now her primary care physicians & are taking such good care of her. I wish I had known about them sooner. They always let me know what is going on with her after every checkup. Everyone I've dealt with has been incredibly kind & caring. I recommend them highly! "You steered us right with excellent advice when we needed it...I am very grateful for everything you've done for her, as are all my sisters." 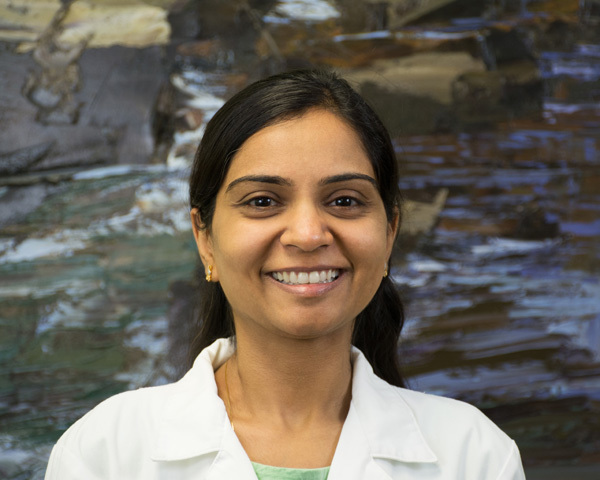 "Dr. Nanjagowder has made such a difference in our lives. He has gotten to know them well and his gentle manner coupled with his professional skills is comforting and reassuring to all of us. " 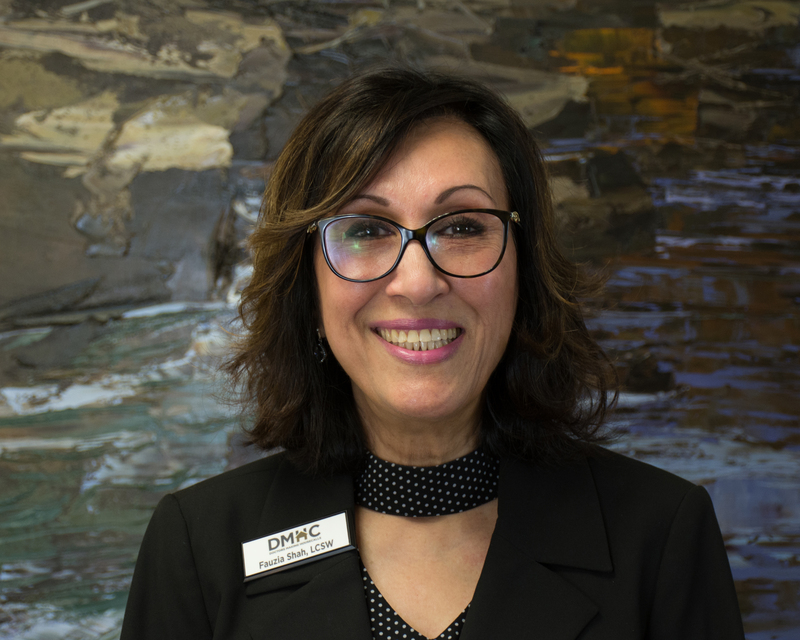 "Fauzia is a great health care provider and more than that she has been our trusted friend that we desperately needed to help navigate our grief and healing process." 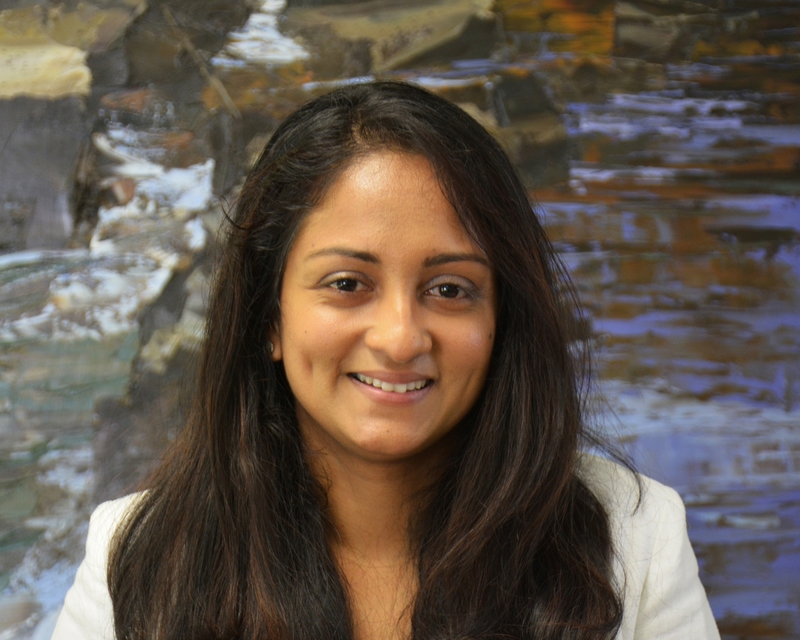 "[Fauzia's] knowledge, strength, warmth, compassion, experience, positive energy and laughter combined with her straight forward/ no- nonsense approach to problem solving is what makes her GREAT!" 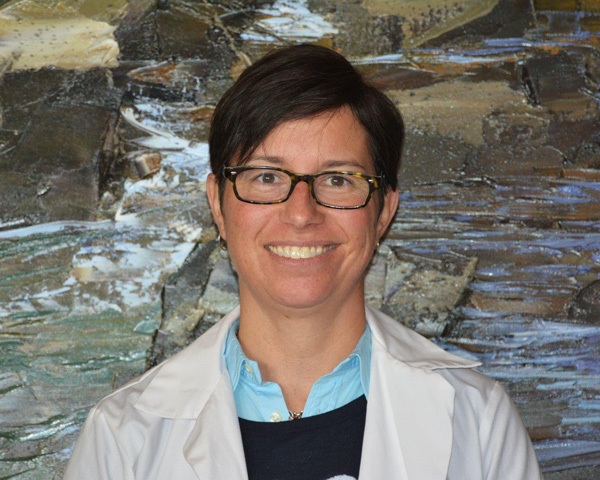 "I always knew [Dr. Heffner] cared, had such compassion, and quickly communicated when necessary." "It warmed my heart to see how genuinely caring [Heather Koren] was and how quickly she was able to identify the issues my mom was experiencing." "Thank Dr. [Peter] Russ for the call about my dad. I am so glad he found what was wrong with him!" 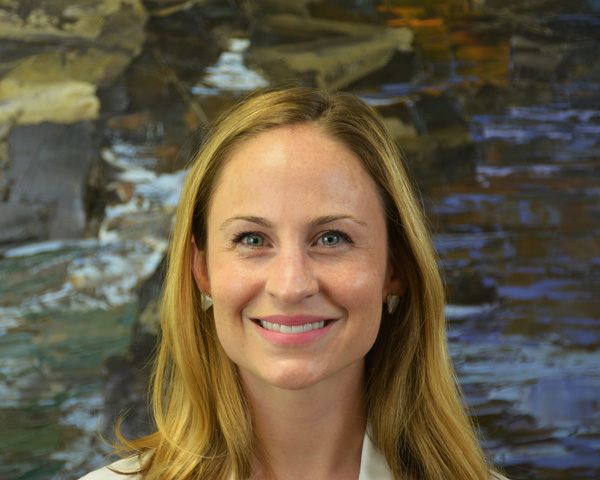 "[Dr. Jennifer Galaway] is excellent in providing you with what the problem is and my options to handle this problem. I so appreciate her allowing me the chance to be part of the solution." 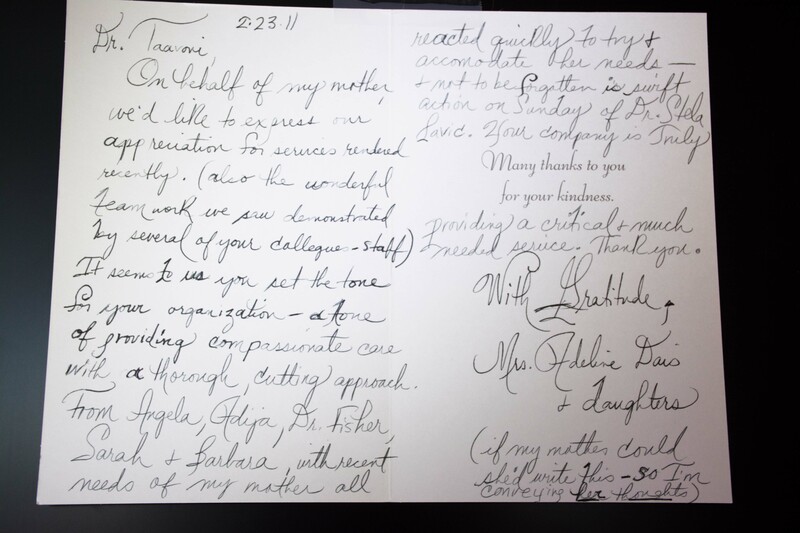 "...your people, both office and field, are pleasant to deal with and [my mother] is pleased with the doctors and services." "You all were such a big part in helping her keep a good quality of life in her later years." 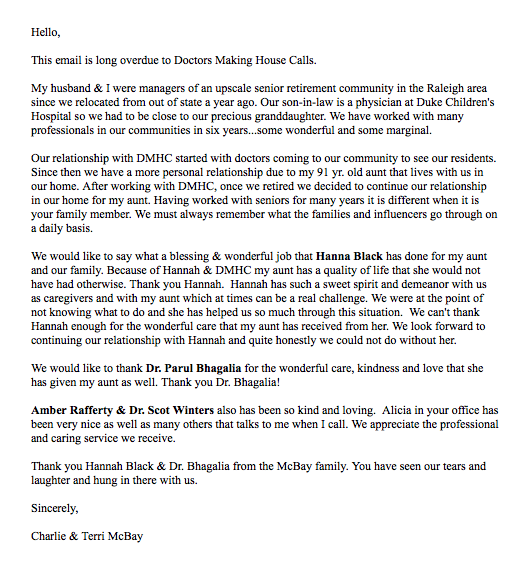 "I cannot begin to tell you how much DMHC has made my "job" as my mother's primary, unpaid caregiver more manageable." 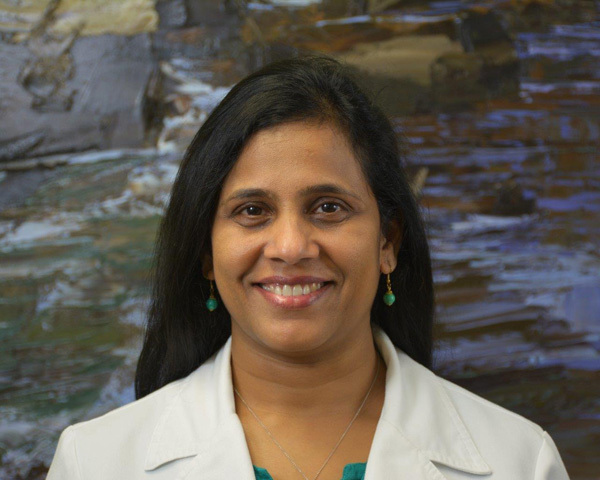 "[Dr. Nanjagowder's] patience and understanding is as valued as his prognoses and prescriptions for her ailments." "[My uncle] couldn't say enough nice things about the staff at [his facility] and his providers with DMHC." "You were great. [He] was helped so much by your insights, your advice, and your very presence." 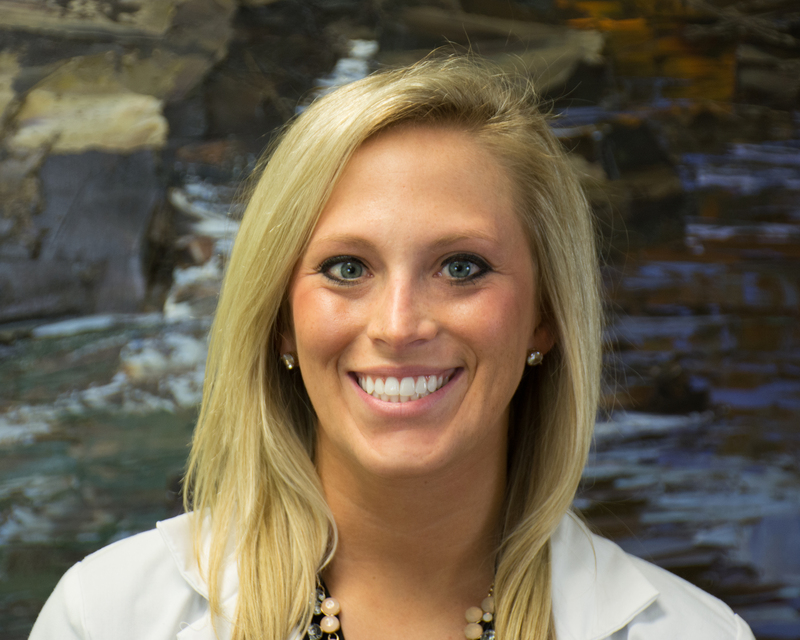 "[Dr. David Fisher and Brittany McKinney] have always been so attentive and caring. In all of my years, I have never met a better medical group." "We were all so pleased with the respect and professionalism that Heather [Koren] displayed towards Mom and us. Heather definitely made Mom feel comfortable during the entire visit; I can't express how good Heather made us feel as well." 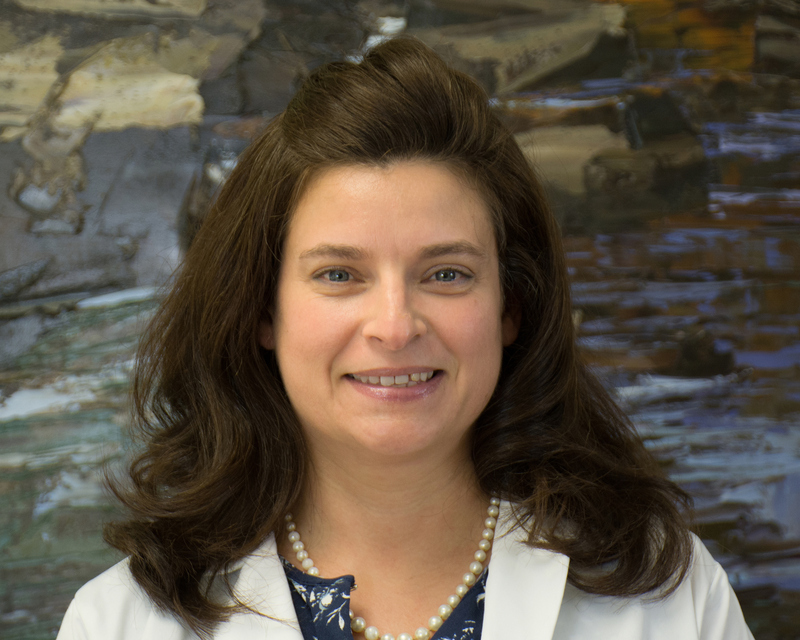 "[Kimberly Tenold] is the best PA ever and I certainly do appreciate her bedside manner, which is excellent, and also her demeanor with the elderly, and understanding what obstacles elderly face." 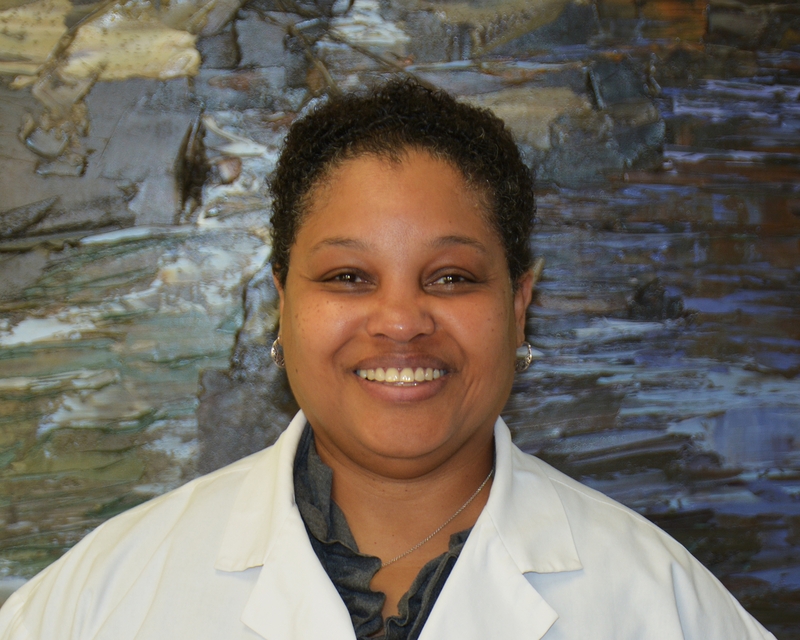 "[Monica Massey] is up beat with her patients, relaxed, and cheerful. She explains medical issues clearly in laymen's terms, and she is a great listener being empathetic to your concerns. Monica is a gift for all of us at this time." "I am grateful to Doctors Making Housecalls [Dr. Amit Kalra and Jeffrey LaFuria, PA-C] for enabling my husband to receive bedside treatment. It was a relief for the family to know that he had such care, and that he never lack for necessary medications and other medical treatment and assistance." "[We] continue to feel very comforted by the weekly attention you give mom." "Thank you for taking such good care of both mom and dad!" "Please know that today you helped improve the quality of life for a confused and agitate patient as well as provide her family with peace of mind." 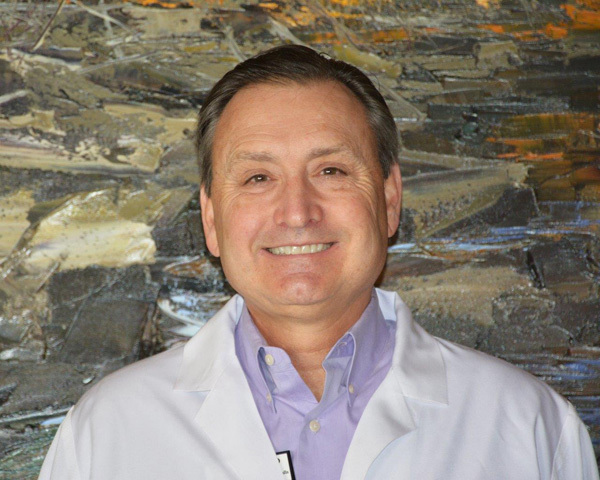 "Dr. Futrell approached my mother with respect and an outgoing personality and he gained her trust while treating her feet." 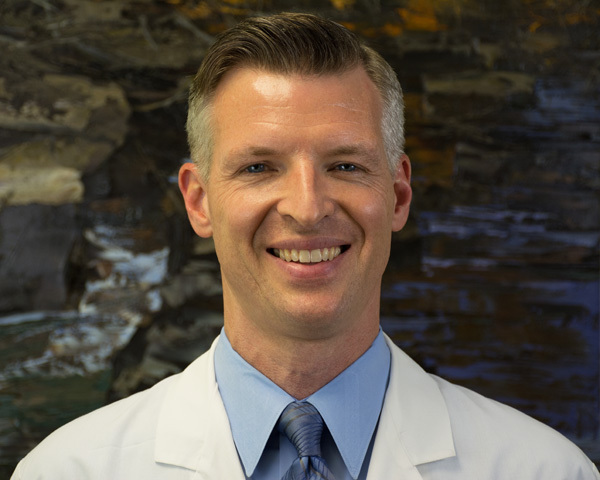 "Over the last two years you, [Dr. David Fisher], have been an important part of her care team and I appreciate the care and respect you provide. She really loves seeing you and her smiles and applause came from her heart." "Thank you, Dr. Stephanie Perry and Dr. Andrea Gilroy, for your excellent service when you each visited my home this summer. You both were professional and most kind." BERNICE W., BARBARA W., AND ANNE W.
"We would like to express our appreciation and gratitude...for your solicitous and sympathetic help while we were in your medical care." "I know [my mother] liked you, [Lauren Strasser], and you always responded quickly whenever we had a question." 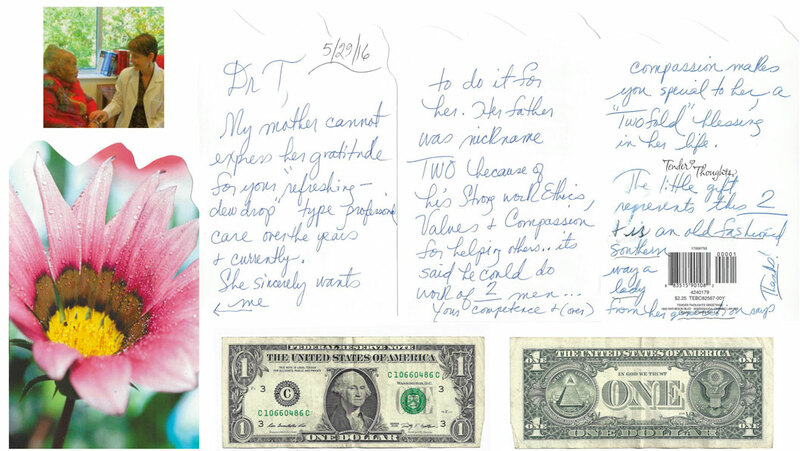 "[Katherine] Jones, thank you for all the care you and your team provided our precious mom!" "The difference in Dad is fantastic! I want the doc to know that and know how grateful I am." "We want to thank you for the medical care you provided for our sister. We were always very pleased with the care that was given her." EMILY H. and JEAN B. 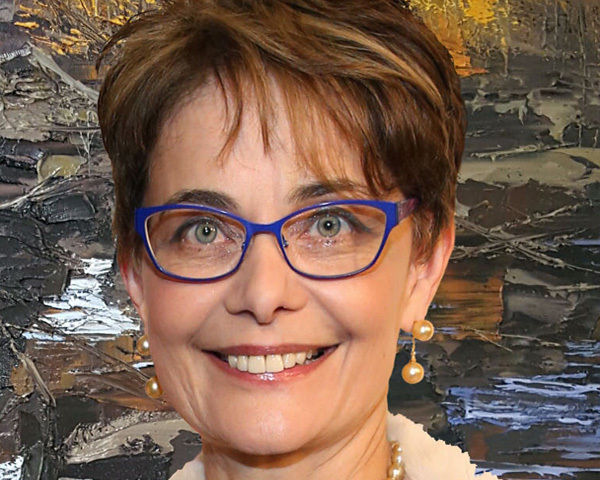 "Thanks especially to Katherine Jones, PA-C. She was always a bright light in moments of darkness." 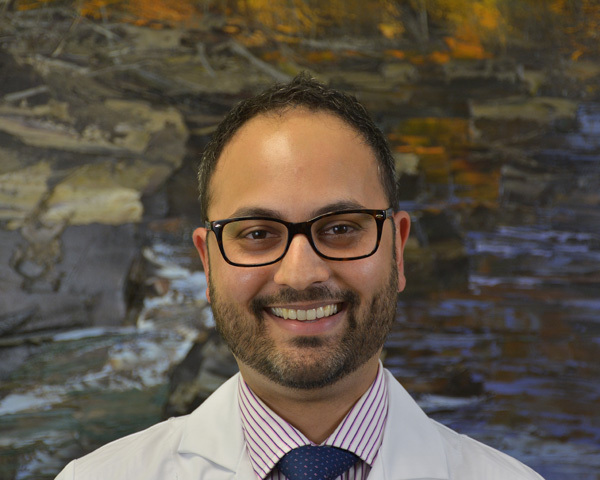 "I was so comforted to have [Dr. Khara] to be there for him as well as for me, and always being quick to respond and understanding of all my concerns." "[I] just want to thank you for the care she received at Chatham Commons." "I feel bringing medical care into my home has saved trips to the hospital emergency room." "Thanks again for your care, compassion, and wonderful communication! We are your biggest fans!" CAROLYN K. & MILLIE D.
"Thank you to all the staff and especially Rebecca Bailey for all your good care." "Had a wonderful appoint with Tracy [Aguilar]!! She is awesome, caring and compassionate for my mother. She took care of everything in a very professional manner." 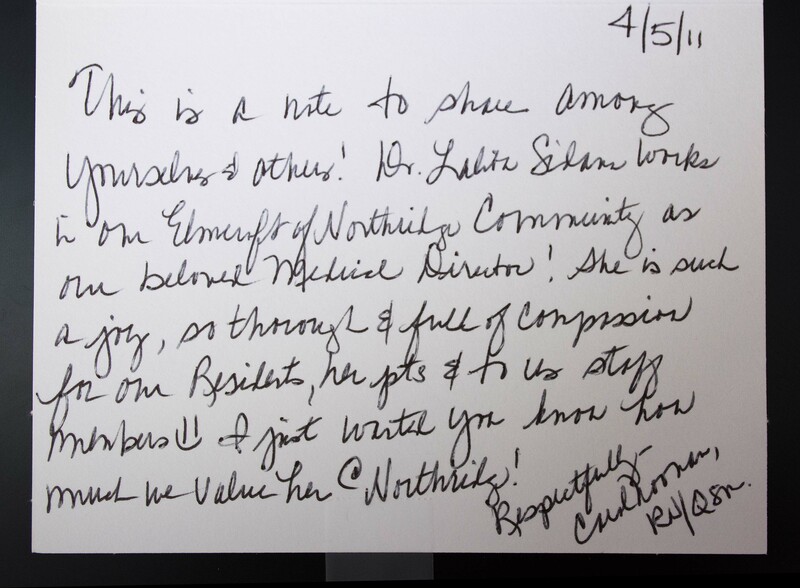 "We are indebted to Dr. Heffner and your practice for the compassionate care we have received for the past two years." "Thank you for your genuine concern for our mother. We sincerely appreciate your tireless effort to care and your eagerness to assist at every turn." 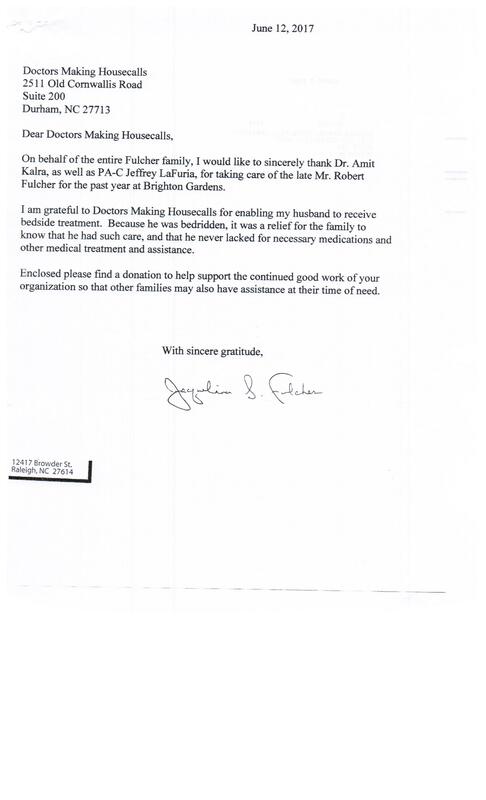 "Jeff [Lafuria] can't find the words to thank you enough for helping me..."
"I want to thank you [Lauren Strasser] for everything you did for us during [his] time with you." 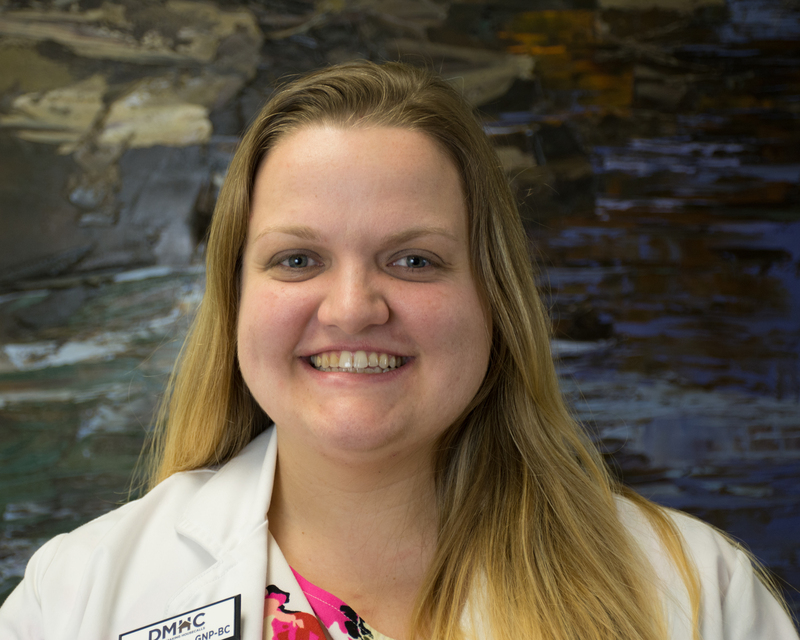 "I would like to share my high opinions of the Doctors and Physician Assistants that have cared for my parents...They have all been caring and provided good medical care." 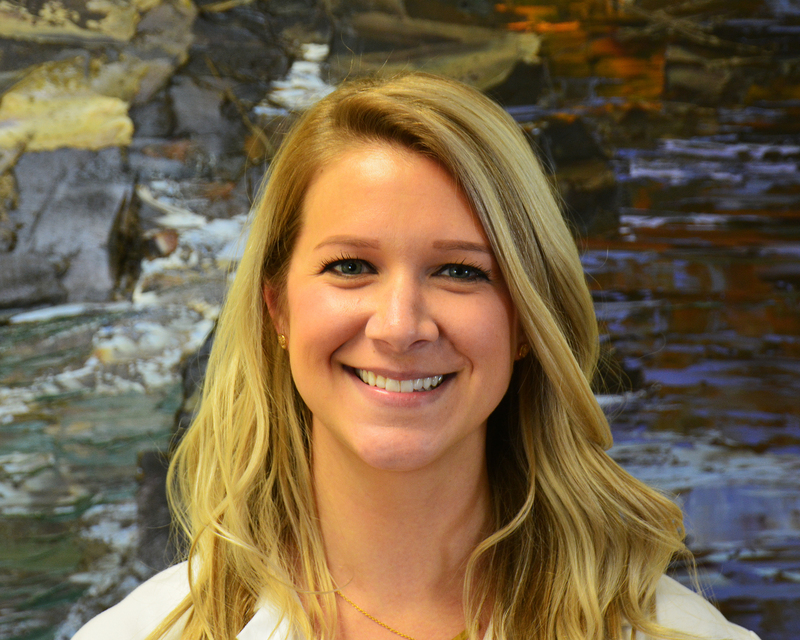 "Words alone will never express the appreciation I have for your [Lauren Strasser] love and continued care for Dan and Joe." "You [Jeff LaFuria] brought not only a breath of experience to the job, but also a significant measure of attention to every detail of Dad's mental and physical condition. I always knew that Dad was not just another slot on your schedule." "Leanne [Minnick] takes the time to discuss recommendations for changes in her care as well as keeping me abreast of her current condition. There are no words that can truly convey how grateful I am to have Leanne as my mother’s provider. Knowing my mother is well cared for helps reduce the extreme stress dementia creates for a patient’s family." "[David Curl] went above an beyond in assisting us when we needed it most. Your kindness and patience will always be remembered." 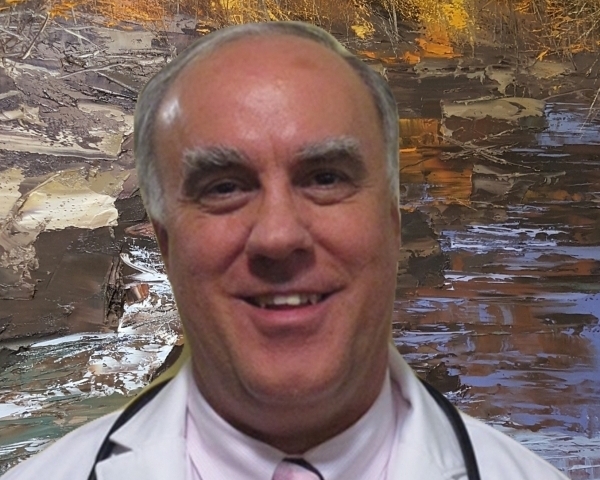 "Dr. Heffner is now his doctor at Brookdale Cary. She is awesome. I never met Dr. Goodnough but I liked her very much from our phone conversation. So far, two for two so thank you for an awesome staff!" 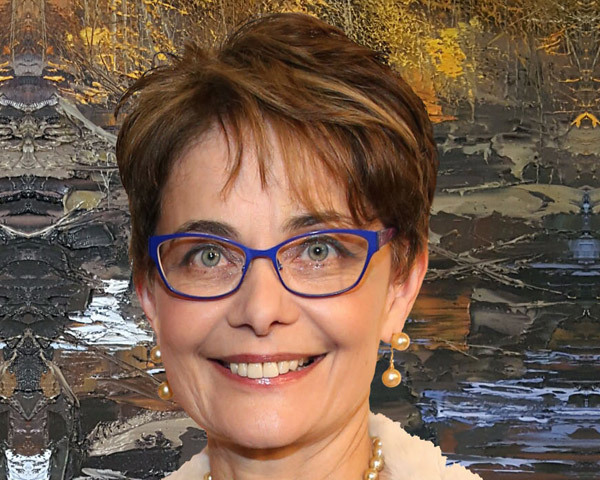 "My mother had the good fortune to be under the care of Surah Grumet, a truly gifted, exceptional physician whose kindness, compassion and gentle demeanor made my mother feel valued and well cared for." "You [Monica Massey] were so kind to her. She always spoke highly of you. You were such a rock for me that last day - you are so compassionate." 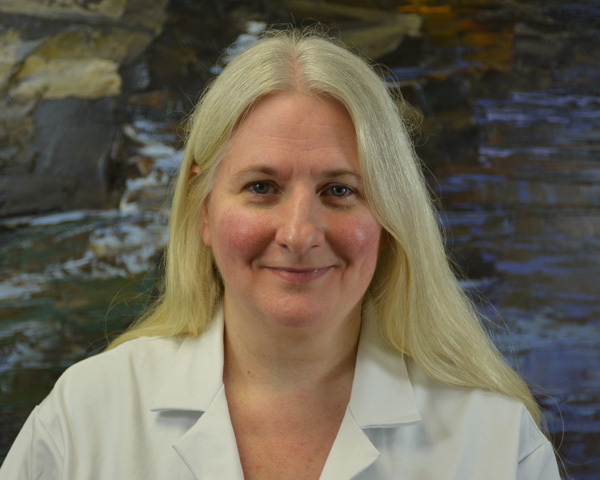 "Dr. Grumet is wonderful. I could not ask for a better doctor." 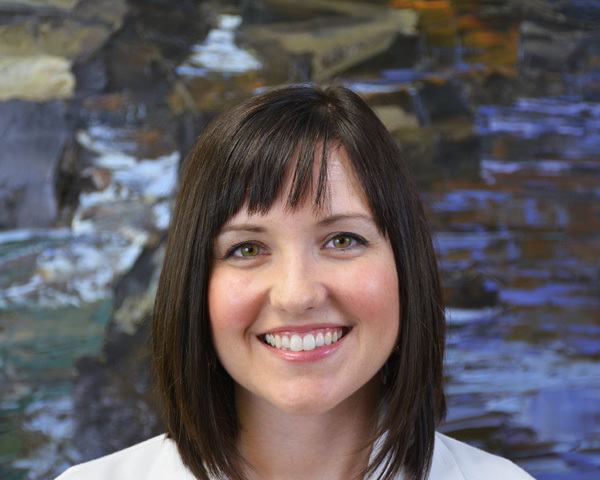 "Heather Koren addressed symptom progressions with informative and insightful skill as my mom declined. 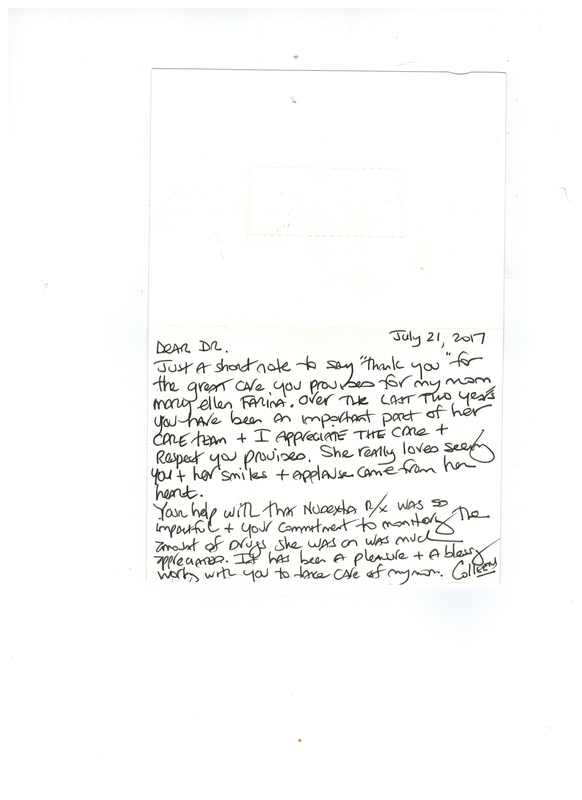 She listened deeply to my concerns and answered with kindness and compassion in a timely fashion." 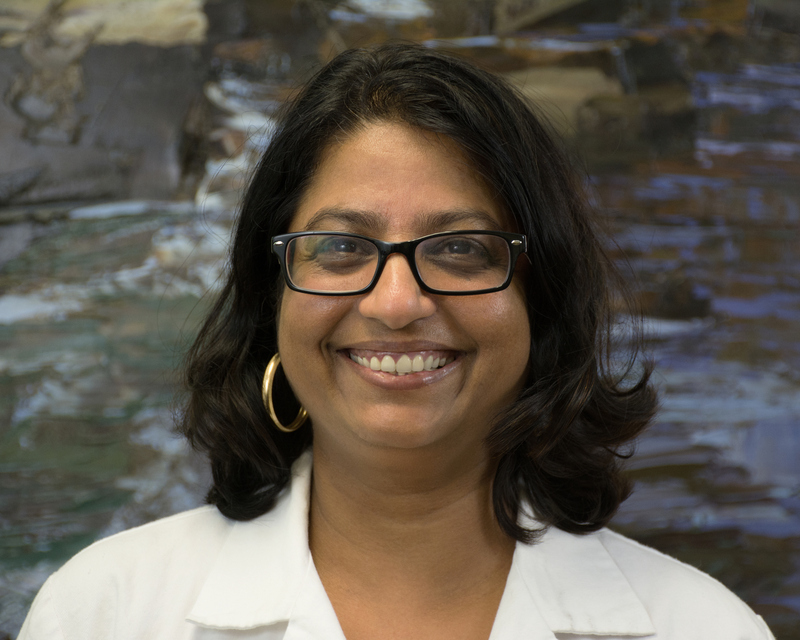 "[Dr. Surapaneni] is kind, thoughtful and extremely considerate...such a blessing to us and an extremely smart doctor." "Our family sincerely appreciates all the years of compassion and concern...There are no words to express the many thanks we have to DMHC." 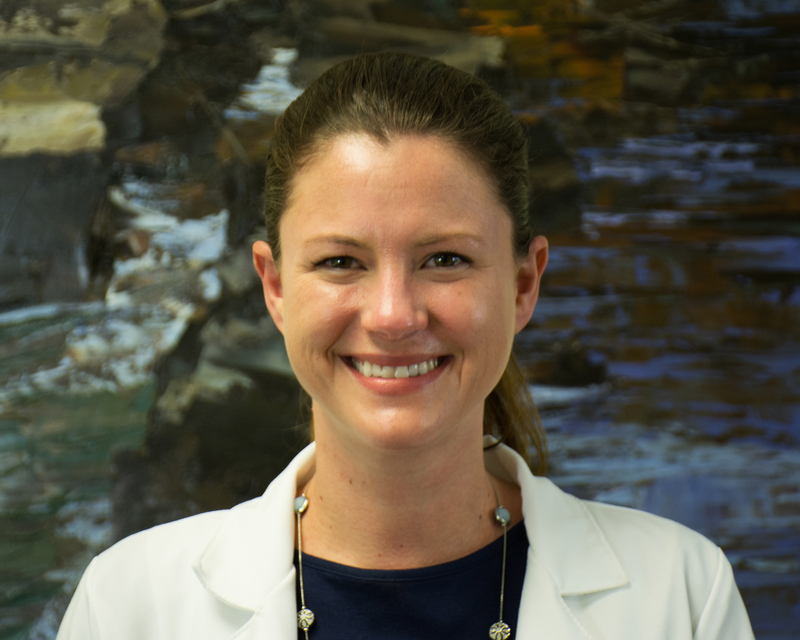 "[Dr. Heffner's] medical skills are spot on and her bedside manner is what really makes her stand out as a rock star." 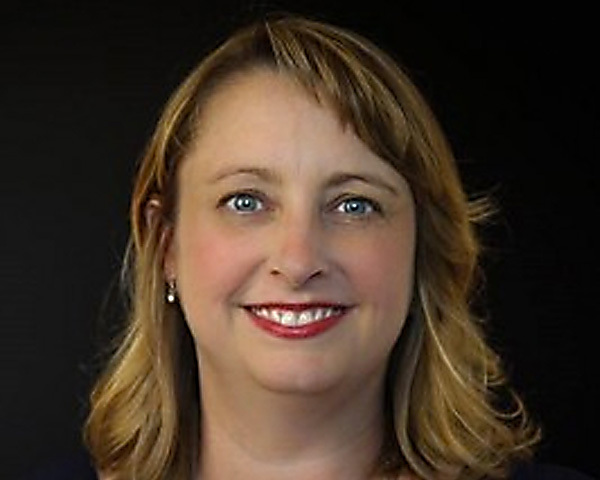 "Leanne Minnick is a great communicator and always responsive. She makes herself available as if the patient was her own loved one." Not just for old people! I destroyed my back and couldn’t get up to get to a doctor, so thank God for these guys and THANK YOU, Jennifer Scott, for taking such good care of me!!! They [Doctors Making Housecalls] even ordered an X-ray guy to come take X-rays while I continued lying in bed. I'm a healthy person and this back thing has been so weird, and I was terrified because I couldn’t get to a doctor. These guys saved the day!!! Thank you, Gabriel Rocha and Mark Giarizzi for your outstanding service to my sister. She is in a memory care home and your medical expertise and professionalism ease my worries. Thank you for always taking care of her and keeping me informed. • Post-stroke rehabilitation with consistent OT and PT supervision. • Thoughtful treatment for chronic diverticulitis. • Support for my spouses’ PD and Bipolar needs. 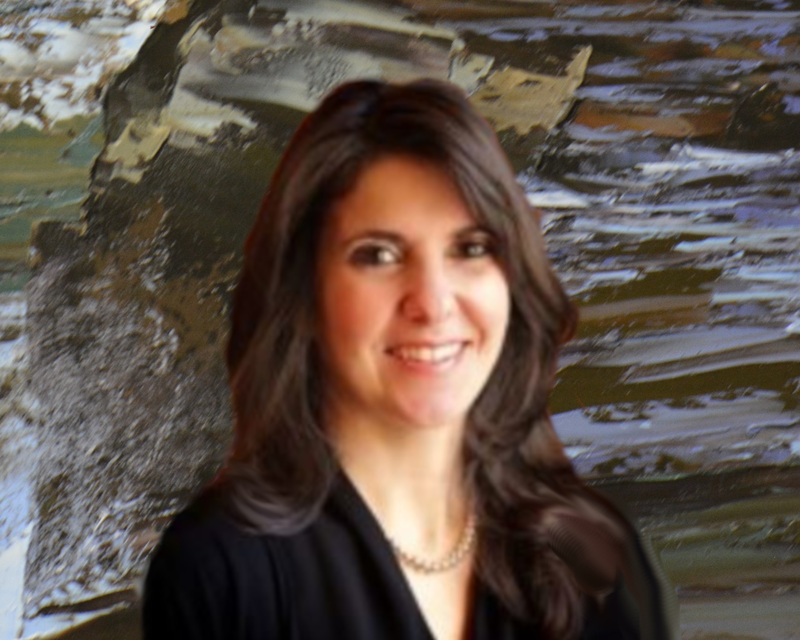 • Your humor and kindness handling life issues with me and my family support team. • Your cooperation with getting me in good shape for my 6 months around the world cruise. • Being there upon my return to find my land legs. • Seeing to it that my spouse and I were quickly moved into an excellent Retirement Community and overseeing our care here. • Assigning Fauzia Shah to guide me through my depression and night terrors. AND ALL OF THIS IS DONE IN MY “HOUSE”!! • Friend, confident, and on call 24/7 (911). • Savior of my marriage of 57 years. • ADVOCATE in so many aspects of my life including dealing with others whose agendas are not understandable to me. • Mediator with an ability to work with my spouse and me on such a genuine level. • Surrogate overseer of my spouse while I was traveling. • Encourager to analyze situations of the past and present and move forward with this knowledge especially finding my present retirement center to suit my needs. • An energetic admirer of my wardrobe and personal appearance. Monica called before she came, arrived right on time. She was so kind and gentle with my 87-year-old Mother who had not seen a physician in several years. She didn’t rush with the exam, answered all our questions and arranged for an X-ray to be made, in her home, that day. The X-ray technician was so kind and caring as well. It was a great and needed experience. We have scheduled a follow up for next month. I’m glad Mother will be seeing the same person. And glad to know of that continuity in care. I am especially grateful for the care given to my Mom. I also truly appreciate being able to access the caregivers [Dr. Fisher, Jeff LaFuria, and Dr. Futrell] by email, the ongoing visit updates and the usually prompt response to my concerns and questions. "I would take this opportunity to express my heartfelt thanks to you and all of your team members for [how] well [you] took care of him. I think my husband was a very lucky person to meet a doctor like you." Great experience! We've had several visits and all the providers [Juliana Sahadeo and Dr. Gilroy] were beyond awesome. They were friendly, patient and courteous. They are welcome in our home anytime. "Mark [Giarrizzi] is on top of our Dad's healthcare needs/concerns and keeps us informed; he really cares!! DMHC is a wonderful concept in healthcare and I wish that 'in home' medical care like DMHC was offered in more states." "I’m very pleased with you all. You have always returned my calls and you couldn’t ask for a better staff. My mother's doctor is extremely professional and always sees to my mothers care. Thank you all so much for making things run so well." Dr. Goodnough always takes time to make my husband comfortable with her visit and answers all of my questions. Together we make decisions for any next steps. I'm so pleased she is caring for my husband! I love Doctors Making Housecalls. It is so convenient and they always call and give me an update on my Mother’s health. It is wonderful to have this service for my Mother. She isn’t able to go out to a doctor so this works wonderfully. I am so pleased with Doctors Making Housecalls. I receive a follow-up call after every appointment at Oak Hill Living Center. They do not hesitate to refer if they feel it necessary. My friend is also pleased with their care. Constant communication to let the patient and his/her family know about upcoming appointments and clinical summaries of patient visits. Very caring doctors and PAs. Dr. Russ was wonderful with mom. 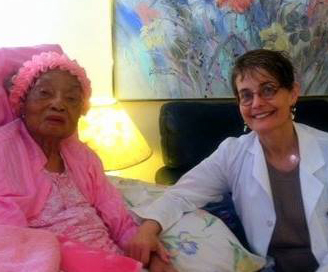 She suffers from Alzheimers and psychosis but felt at ease and cared for by Dr. Russ. He even had her laughing which isn't easy these days. Thank you! Great experience. Quick answer when I call all the time. Obtain prompt appointments when needed. 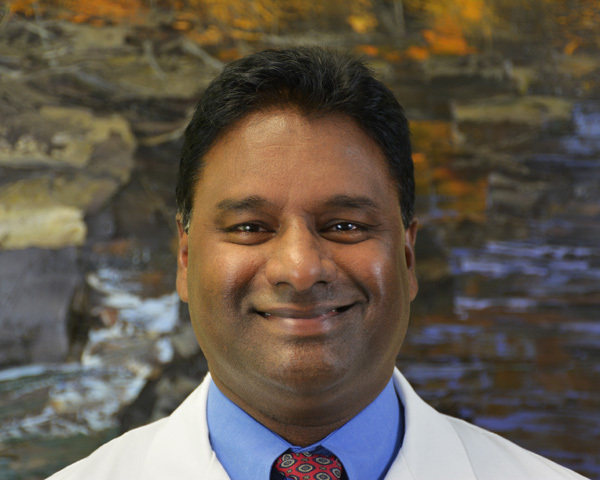 Dr. Nanjagowder is the most compassionate, approachable, and skilled professional I have ever met. Great bedside manner, objective assessments, and great advice to families. I am very happy with the care my mom is receiving from DMHC. I get regular feedback and recommendations from them [Leanne Minnick, Fauzia Shah] which helps greatly in making informed decisions for my mom. 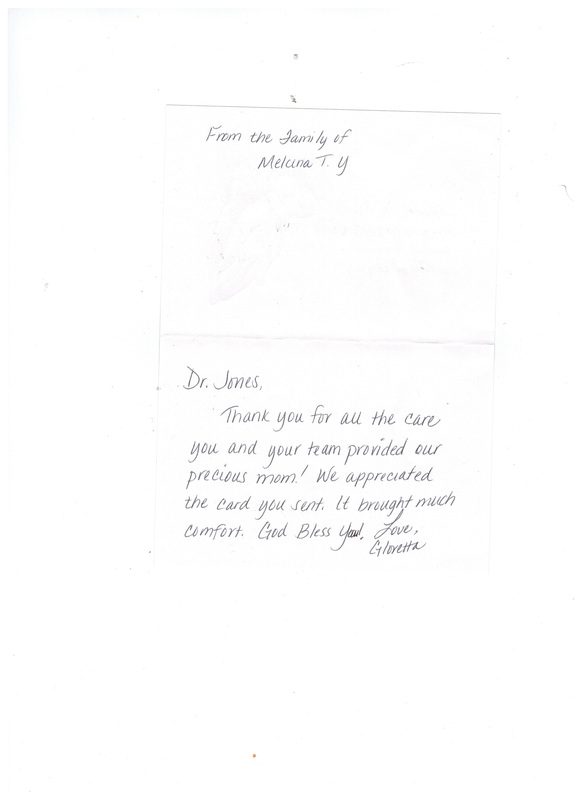 "Dr. Taavoni, where do I begin to thank you for all the care you gave my mom. She enjoyed coming for her Dr. appointments and would all dressed up from head to toe...Thanks for all you did for both of my parents." Mark [Giarizzi] is great with the patients. He makes my mom laugh when she is having a rough day. Dr. Nanjagowder has been my doctor for 6 and 1/2 years. 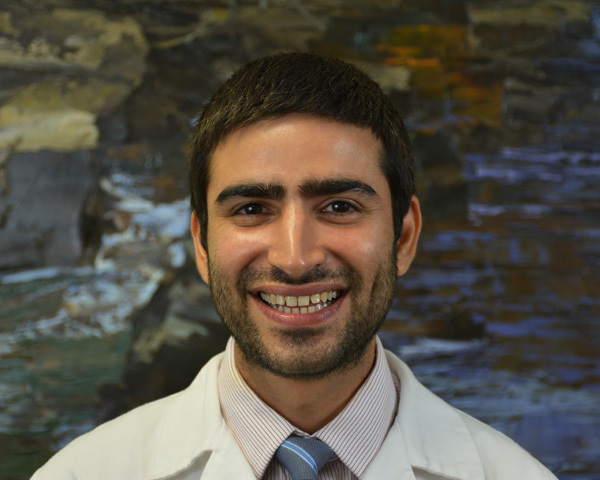 He is very knowledgeable in all aspects of the medical field I really like that he is a certified Gerontologist. We get along very well since I am quite outspoken. Lauren Miiglarese, his PA, is very good she and he works together excellently. I recommend Dr. Nanjagowder to whoever comes to Magnolia Glen. I am very glad I chose this [ractice [Doctors Making Housecalls] for my care. My 101 year old Grandmother describes Dr. Fisher as “caring and very nice.” Additionally, as her caregivers, we appreciate the recommendations he has shared to help us as well. Therefore, on behalf of our family, we appreciate the opportunity to acknowledge you, and to say “Thank You, and God Bless You Dr. David Fisher for your outstanding care!” You are a blessing to ‘Nana,’ and our family. 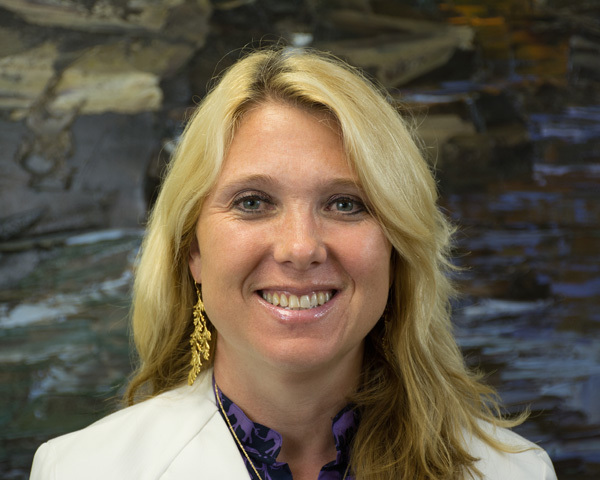 "My mother is a patient of Dr. Ferrara at Brookdale Carriage Club in Charlotte. Mom is 93 and still lives independently with help in the mornings. She has had some issues lately with a UTI and very fluctuating blood pressure. Dr. has checked on her and monitored her very closely. She talks so Mom can hear her and understand what she is saying. She will write out notes for Mom so she can't forget or confuse her directions. She will call me if I am not at her appointments and she feels there is something I need to know or to ask me questions about Mom's past medical situations. Dr. Ferrara seems very knowledgeable about the aging process. She is thorough and compassionate. 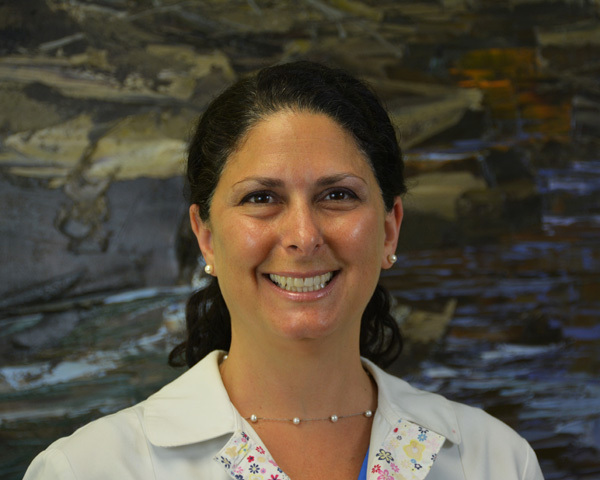 Dr. Ferrara has won her over with her attentiveness and attention to details. We have been pleased with her as Mom's Doctor." "Shortly after moving to Magnolia Glen we found it difficult to visit our PCP. He suggested DMHC. Ten years of providing very wonderful service to us, this idea was his best! Dr. Nanjagowder has been a caring, insightful and fun to be with physician. We will miss his frequent ( we have numerous ailments) visits as he moves on, and look forward to knowing Dr. Li." 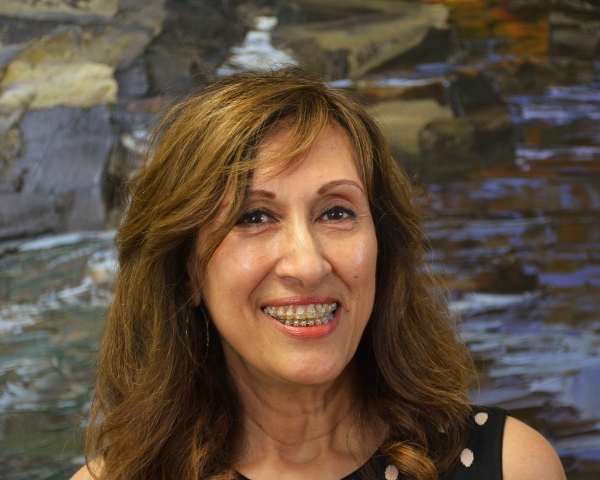 "I would like to take this opportunity to thank Ms. Fauzia Shah for the love and compassion shown towards my mother while she was at Carillon Assisted Living facility in Knightdale, NC. From day one, Ms. Fauzia did what no one else could get my mother to do. She gained my mom’s respect and love. It is amazing how my mom, who has dementia, totally trusted her. Her face would light up whenever Ms. Fauzia would visit her. Ms. Fauzia is truly the most caring person that I have ever met. She took time out of her busy schedule to listen to and talk with my mom as if she was her own mother. She showed her so much love. Not only is Ms. Fauzia loved by my mom, but I, her daughter, will always love her also. I will forever be appreciative for the many kind words of encouragement from her while dealing with the various issues concerning my mom. Ms. Fauzia is a precious jewel and I could never repay her for everything that she has done for my mother and me." "I have been seeing Dr. David Fisher as my PC and wanted to tell how much I think of that physician. I am 79 yo and have been searching for someone to care for me and my wife. 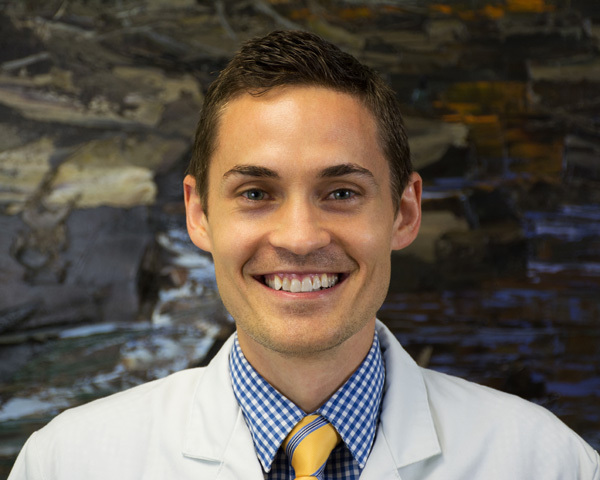 Having found Dr. Fisher and becoming affiliated with your practice, I must tell you that I am absolutely delighted with him and your practice! Until yesterday when I met with Dr. Todd Rowland. He is an outstanding Doctor and I like him every bit as much as Dr. Fisher. They are complete Physicians and gentle, kind and knowledgeable Doctors who represent you in an excellent manner. Both of them are exceptionally suited to my needs as a geriatric patient. I have the utmost confidence in them both, so much so that my wife Charlotte W P has registered today as a new patient of them both. She dealt with Jack on the telephone and was treated by him with the utmost respect and professionalism. Kudos and thanks to you and all of your group." "My husband has been very ill and was away in various homes for 7 months. Since he has been at home, Dr. David Fisher has been in charge of him and he has done an outstanding job. Dr. Fisher is especially good with older people and Andy is very comfortable with him. Andy is going to be 79 years old in October so he requires a doctor who is gentle and kind. In addition, we have had Fauzia Shah who is totally wonderful. She is very responsible for getting Andy home and for helping both of us adjust. I was very nervous about Andy coming home, although I definitely wanted him home. Fauzia explained that we would have all the care that we needed in order to get adjusted and we certainly have had lots of attention and Andy has had lots of care. So you can see that both Andy and I are very grateful for Doctors Making Housecalls. I have to have my knee replaced on October 29th and I will definitely require that Doctors Making Housecalls takes care of me." "My name is Shannah R. I've had multiple sclerosis for 18 years along with other health issues such as degenerative disc in my spine and neck, diabetes, high blood pressure, anxiety, and major depression and the list goes on. I have been seeing Rebecca Unger from Doctors Making Housecalls for several months now. I really have nothing but good to say but good stuff about Miss Rebecca. She is being a really good physician assistant to me, she finds out what's going on and gets to the point and most of all spend time with you explaining things where you can understand. 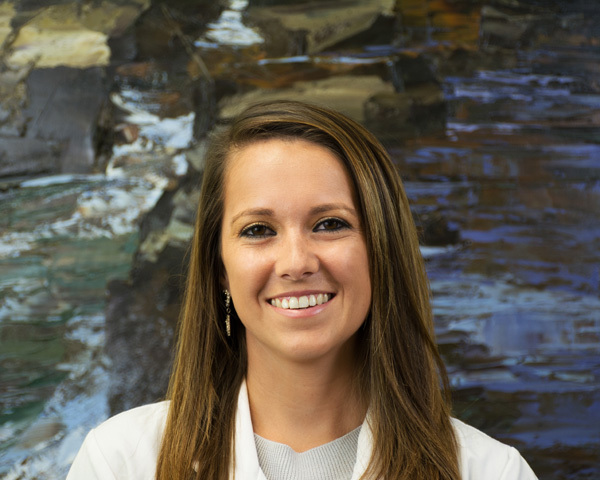 She's a very good physician assistant, I would recommend her to anyone. I love her because she understands my disease and she does not let me suffer ... she is very good. I TOTALLY love her, she's also so friendly and I love the fact I can be seen in my home .... please let her know her patient SHANNAH R THINKS SHE'S SO WONDERFUL." It is such a blessing that you are willing to come to see us at Preston Point! I do not drive, so I truly appreciate "Doctors Making Housecalls." What a great service! I appreciate your care and your kindness. The chemotherapy has been a challenge with these allergic reactions. The one with the first round, on September 18th, was mild compared to the one that started yesterday. GOD bless you and thank you for being a very special gal! "My husband, Theodore S., has been a bed-bound, compromised patient for the last several years with Doctors Making Housecalls. 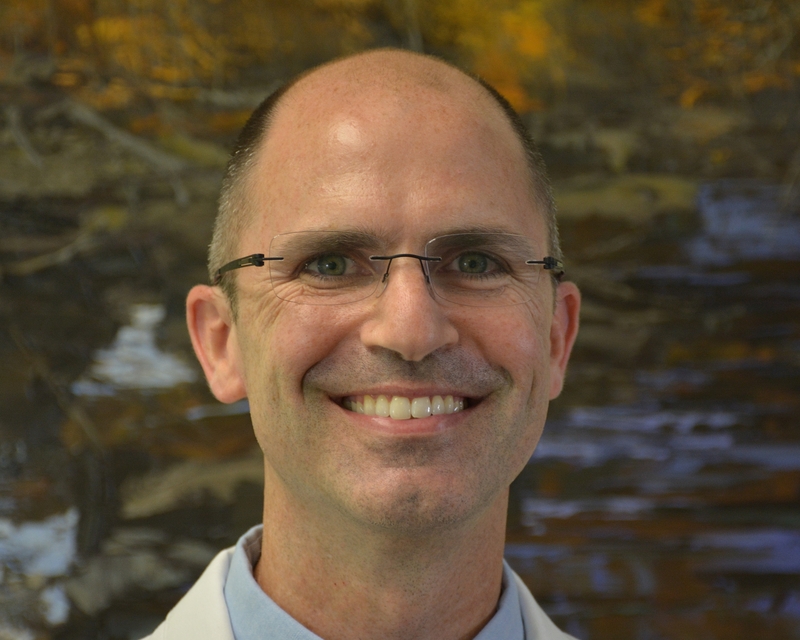 Dr. David Fisher has been his treating physician for the last several years. Tedd and I wanted you to know how pleases we are to have Dr. Fisher as his doctor. 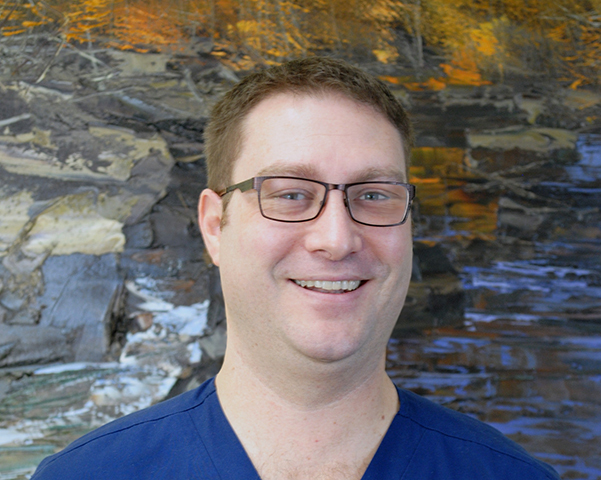 Dr. Fisher addresses all Tedd's issues on a caring and concerned manner, giving his all to his patients and their families. He shares his knowledge with my husband and me regarding treatment, medications, and addresses our concerns. 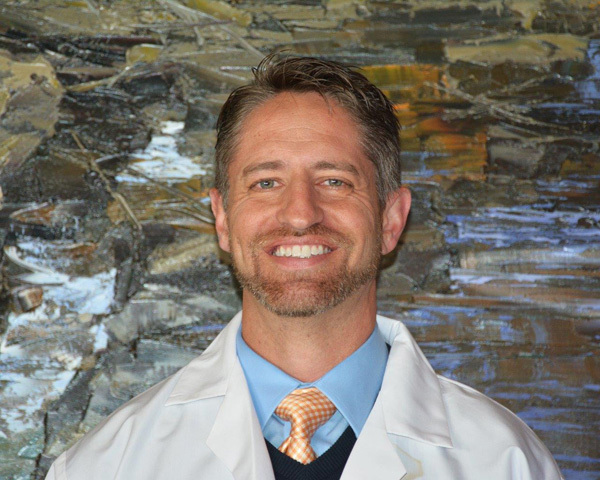 Dr. Fisher is an asset to your practice, his patients, interfacing with other physicians involved in Tedd's care and the community." My family and I want to thank you for the care that you had given my mother Carolyn C. for the past few years. She always spoke very highly of you. As you might have heard, she passed away last Thursday while at Transitions Life Care. Taylor, thank you for the excellent care you provided for our father, Jacob B. these last couple of years. I had been very happy to hear you would continue to be our father's doctor when we moved him from Jordon Oaks to Brookdale this past fall. Virginia D. & Melissa J. 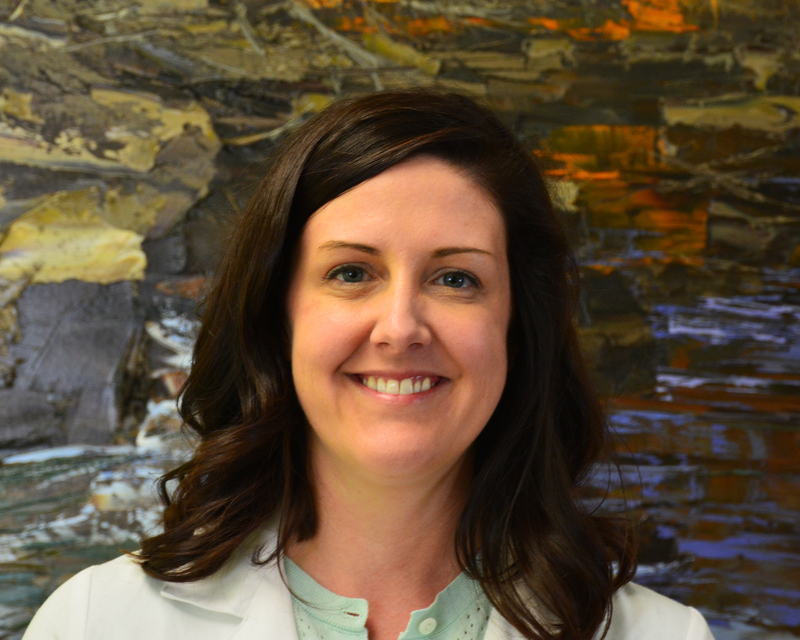 "My family and I want to express our gratitude for Erin Lafferty, NP. She took amazing care of my mother-in-law in her last few weeks of life and was a great source of support for our family. When we learned how significantly and quickly Monique was declining, my husband, daughter, and I came out from California to spend time with her. We were able to schedule a visit for Monique with Erin and when we saw her in person, it felt almost like meeting an old, trusted friend. She agreed to come and see Monique weekly for as long as we needed her to. She told us with sincerity that Monique was really important to her. 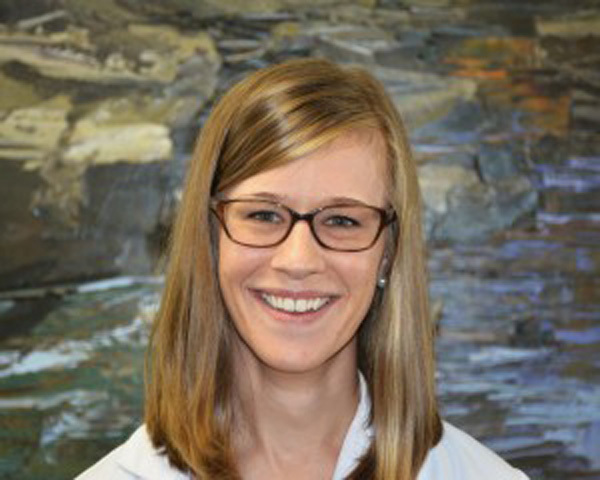 Erin’s clinical expertise and responsiveness were integral to the very peaceful passing that Monique had and the peace of mind that our family experienced knowing we had this level of support. My family and I are so grateful to Erin for going above and beyond in her level of support and responsiveness and we deeply appreciate it. We are so grateful for your organization which makes gentle home medical care accessible to end of life patients." 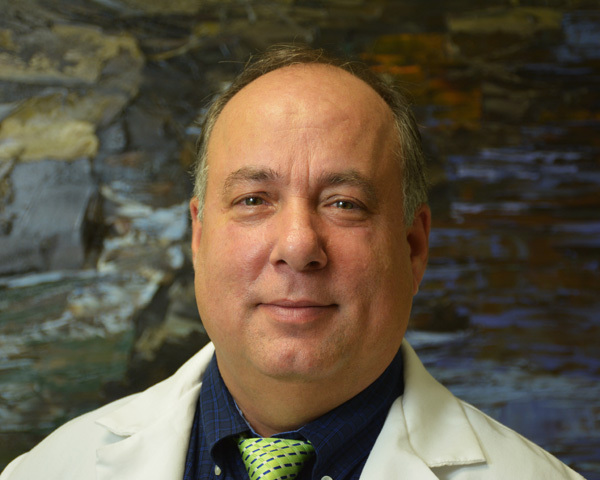 "I truly believe that Dr. Ferrara saved my mother's life. When Dr. Ferrara was first assigned as my 98-year-old mother's doctor, my mother had just returned from an 8-day hospital stay caused by three infections. She returned home with a new infection in an ulcer on her lower back that worsened at home with inattentive wound care and no antibiotic treatment. She's frail and bound to a wheelchair, so we really didn't think she'd pull through. Dr. Ferrara recommended that we call an ambulance to re-admit her to a different hospital. She was well cared for, her wound was treated correctly, she was eating (one of her joys), and improved. During this second hospital stay, Dr. Ferrara was in constant touch with us to make sure my mother was getting appropriate care and healing well. This continued when my mother returned home and continues to this day as my mother's condition improves. On behalf of our entire family, I wanted to acknowledge what a caring, professional gem of a healer you have in Dr. Ferrara." 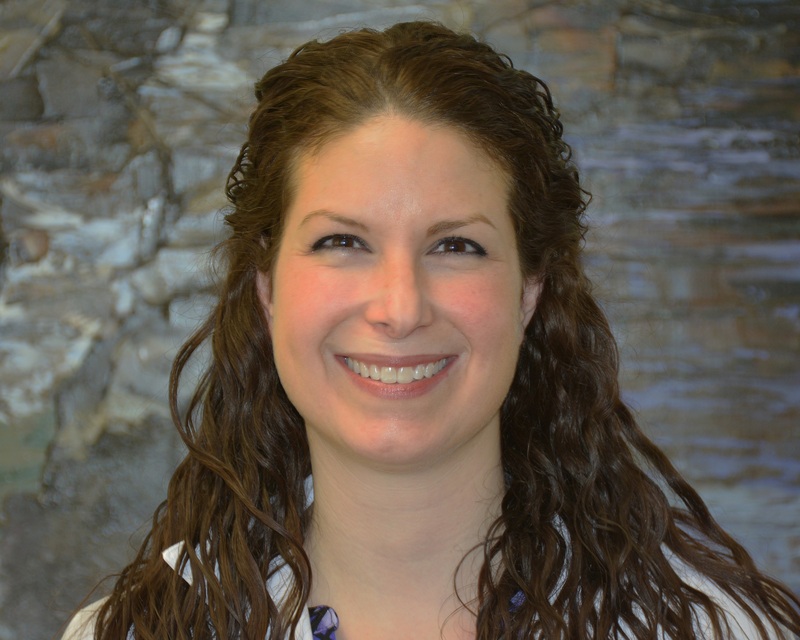 "I am writing this letter to acknowledge the outstanding care that Jennifer Maynard, FNP-BC provided to my mother Miriam B. and to my family. My mother passed a few weeks ago at almost 99 years of age. 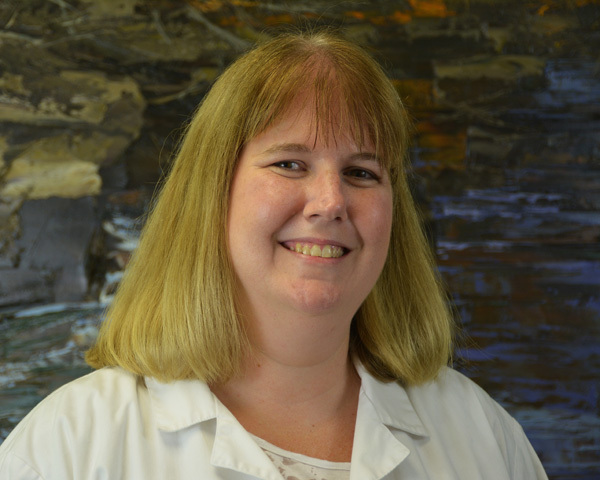 My siblings and I live out of state so we relied heavily upon Jennifer Maynard's expert care. We were incredibly fortunate to have her taking care of our mother. 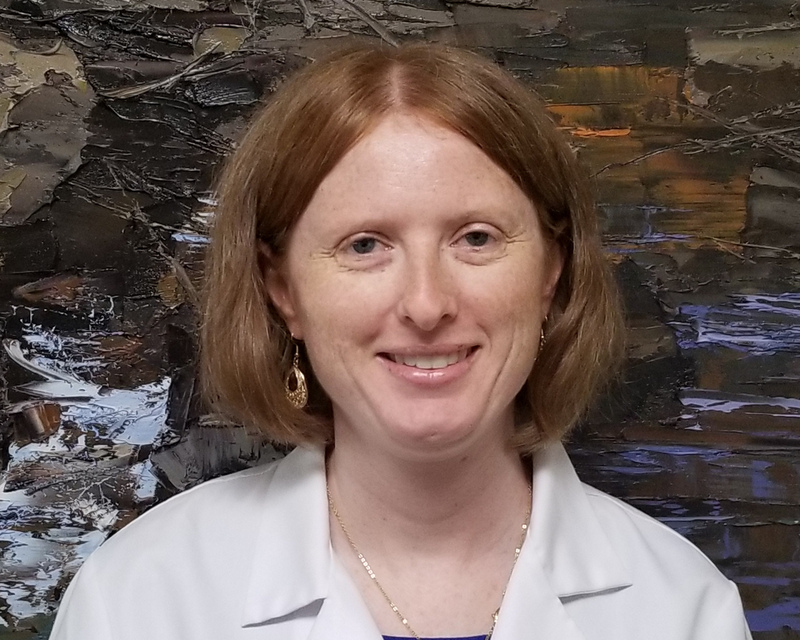 We could not imagine any other doctor that we have known to be as accessible, flexible, patient and human while at the time providing excellent medical care. She was our rock. We needed to turn to her over and over again with so many questions and decisions but she never let us down. She responded and communicated with clear, thoughtful, sensitive and sound medical advice every step of the way. She gave of her time generously in emails, phone calls and even during a crisis while she was away celebrating a family wedding as well as during the hurricane! 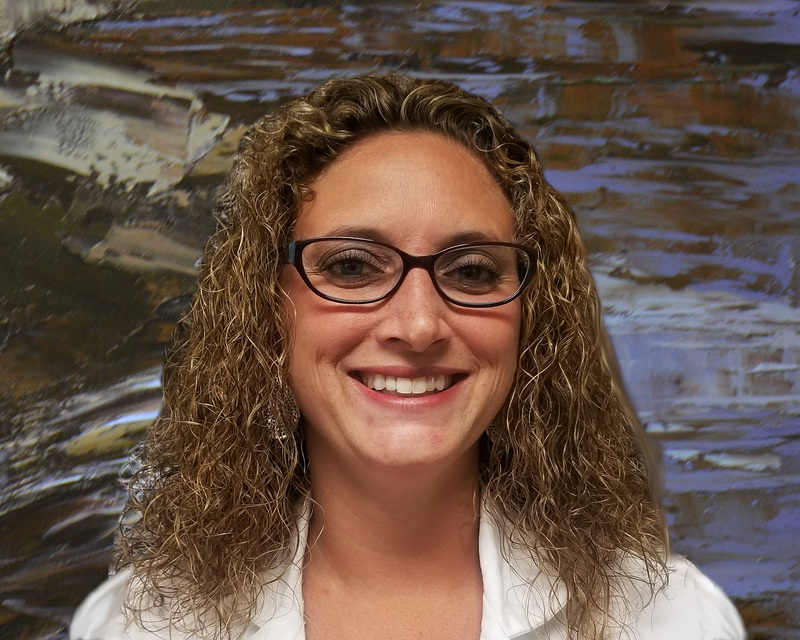 Her dedication and professionalism to patient care and to the support of the family is outstanding and goes above and beyond. She is what a true medical healer is all about. 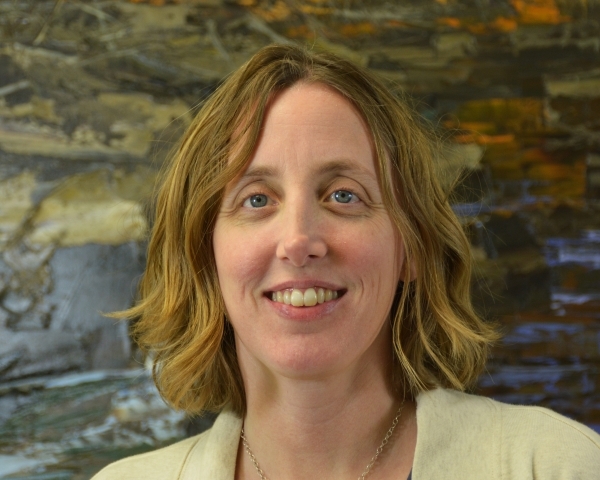 Jennifer Maynard truly makes a difference in people's lives and certainly in ours." 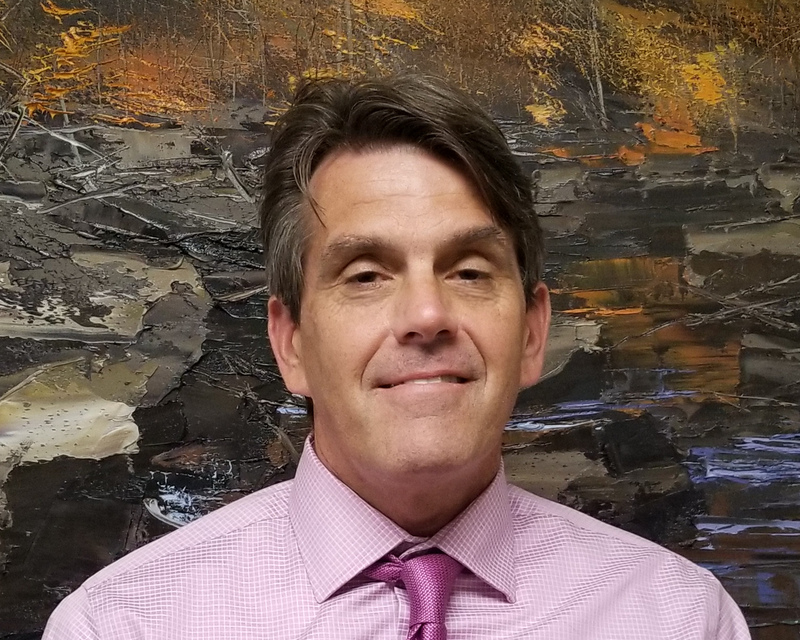 "Bendetto Palombo has been taking care of the psychiatric needs of my family member, a particularly challenging case with a long history of burning through doctors. Not only has Palombo done an outstanding job in working with her and building rapport, but he has also been very accessible and collaborative with us. 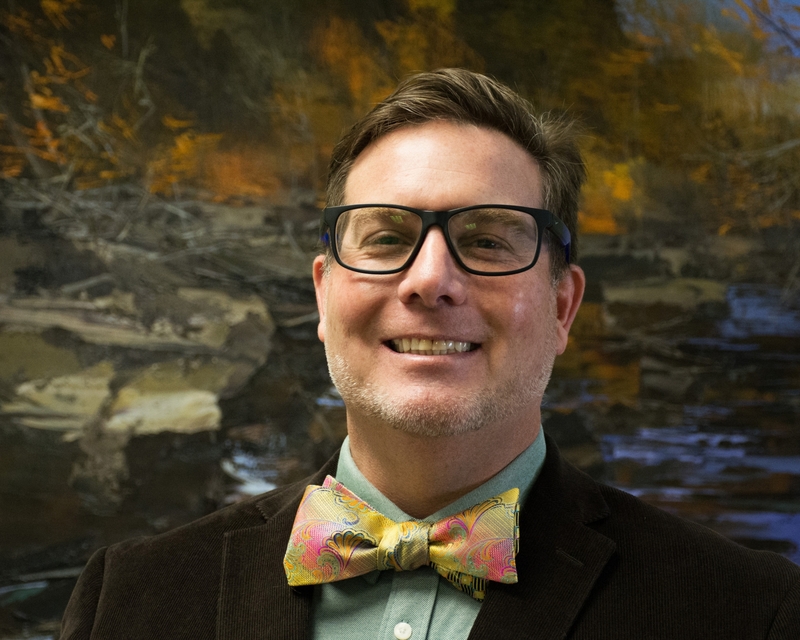 In both words and actions, Bendetto Palombo has shown himself to be very compassionate, committed, well-educated, and engaged. Additionally, I am impressed and appreciative of your organization. As a healthcare provider myself, I have felt for some time that bringing the doctor to the patient makes far more sense in certain circumstances than trying to bring all the patients to the doctor. I wish you all the best of luck, and hope to see business models like yours expand in the years to come." 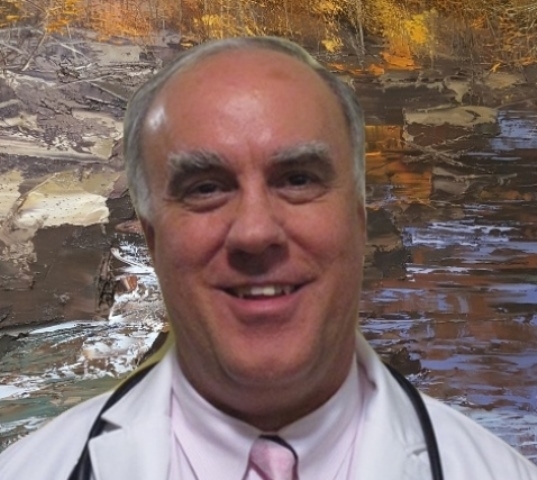 "Dr. Ferrara has been very attentive to my father and has tried multiple ideas to help solve his dizziness. We appreciate her dedication to caring for my dad." "Rebecca [Pastelak] is great. She understands the problems Mother is having and is very good at communicating treatments, recommendations, etc. She is very easy to talk to." "My father’s medical care is actively manage and the team is very responsive to any questions regarding his care. 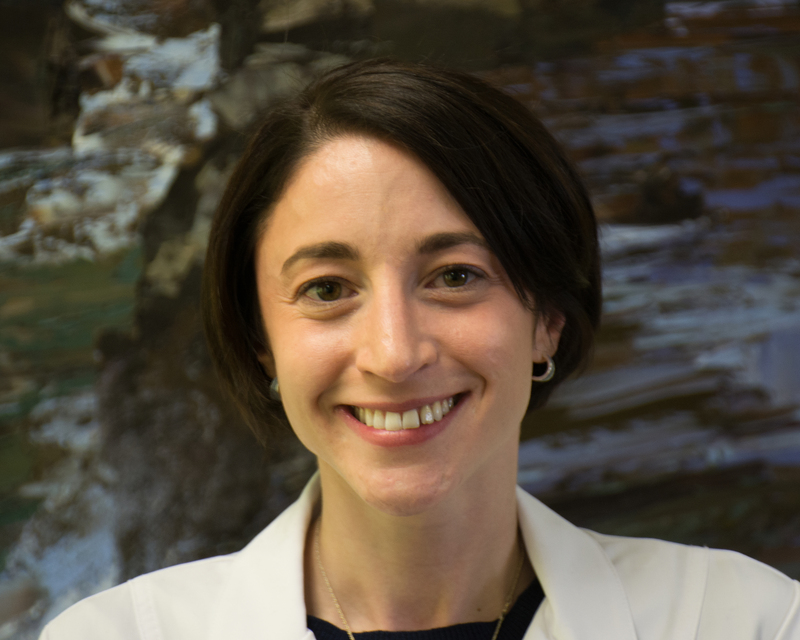 In particular I find our nurse practitioner Jessica Schwartz to be a very good listener, highly responsive and a good communicator regarding my father’s health needs." "The service from DMHC is always great. Crystal Ostheim is very caring and concerned. I am thankful for this service for my brother." "Great work by Haley Williams taking care of my mother. She is always trying to figure out a way to make my mother more comfortable and happy. Thanks." "My Mom is in Memory Care. 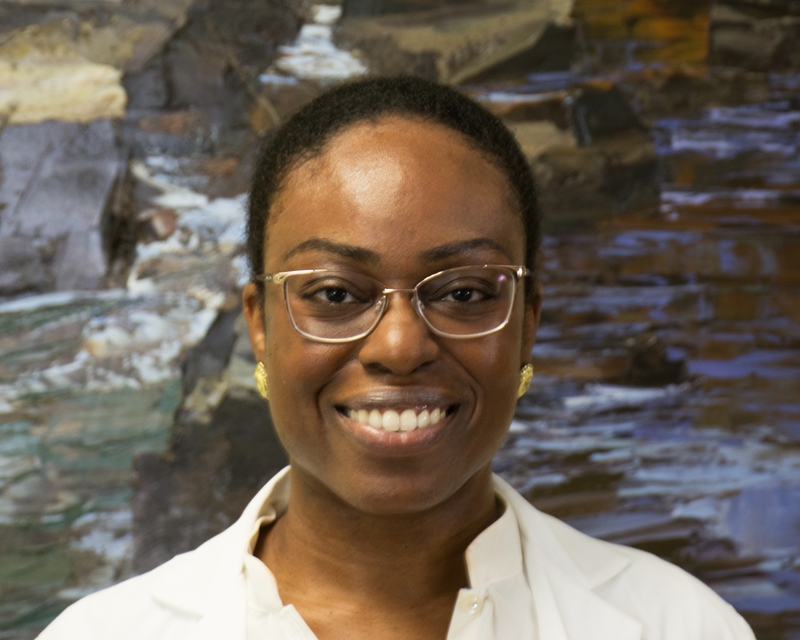 The doctor [Dr. Khashana Blake] noticed her frustration and agitation progressing and recommended a low dose of medication to assist. They called me (daughter) to let me know the plan. I really appreciate the updates and direct communication when I can't be present for the appointment." "Love and appreciate this service... the office staff is very helpful and friendly! Attention to detail is phenomenal and very resourceful. They made the transition from my previous provider to this company so easy! I appreciate and am thankful for Doctor's Making House Calls and I'm also thankful for their local NP physician Ms. Jessica Wright! 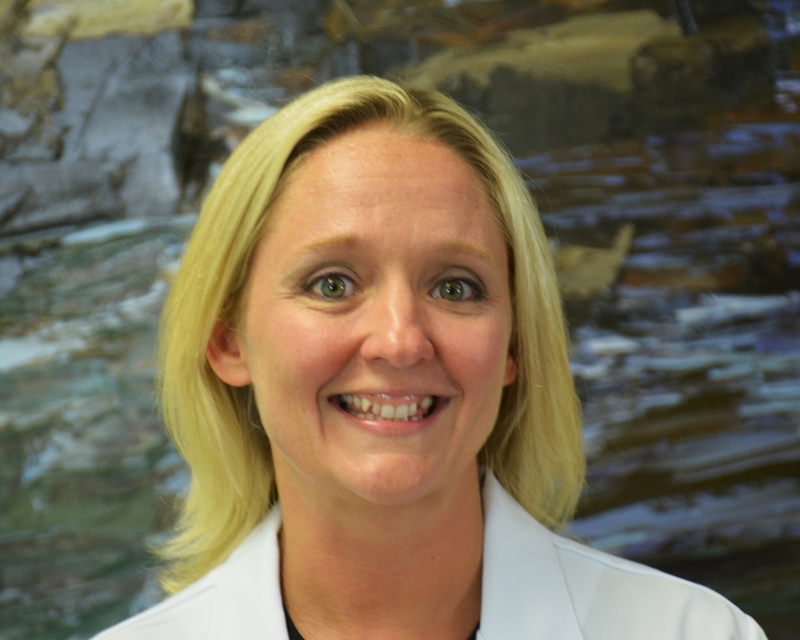 She has a broad background and she loves her patients." 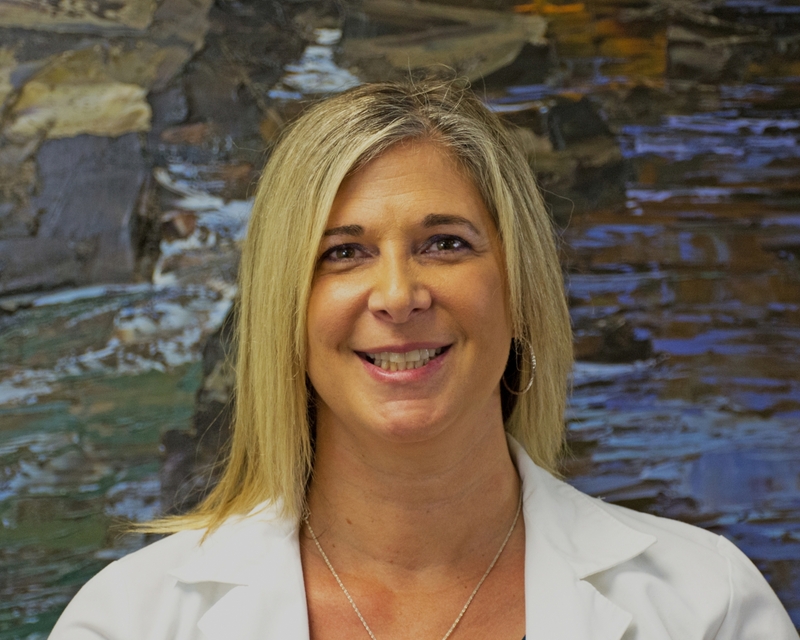 It is such a comfortable feeling to be under the care of a health professional that has a passion for what she does, is genuine and sincere, cares deeply and relates beautifully with her patients/clients. I find each of these characteristics in Fazia Shah, my clinical social worker working with Doctors Making House Calls here at The Cardinal, and I am most grateful and always look forward to our weekly meetings. 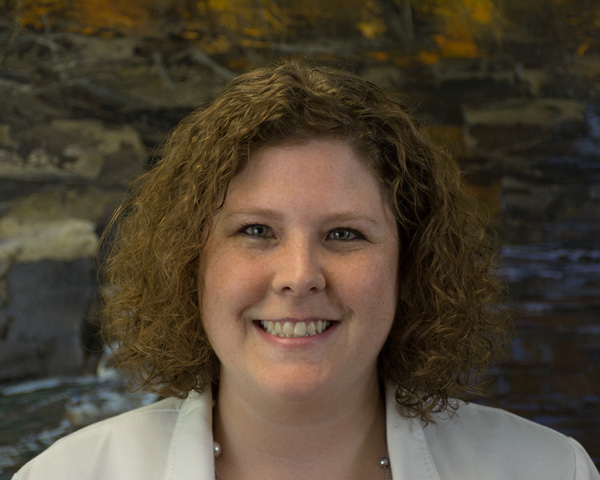 "Mellisa Conerly is professional, compassionate, and thorough. Would recommend her to anyone. 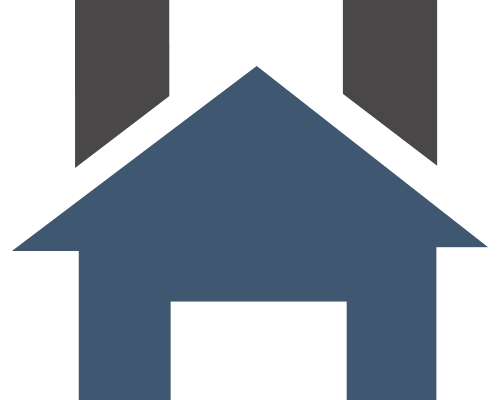 The convenience of being able to have a house call is a great value to my husband." 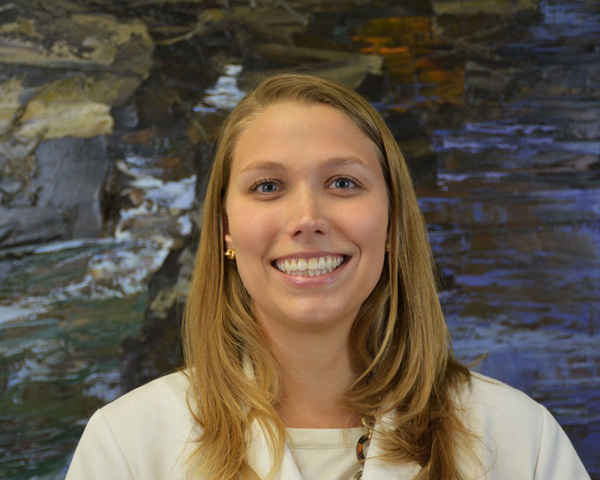 "Katherine Jones cares for my mother-in-law, who lives at Carolina Reserve of Durham. She is professional, caring and prompt in communicating with my husband after each visit. Her write-ups are clear and complete and we feel that she follows up carefully on any issues that arise for my mother-in-law. We are thankful for her care." 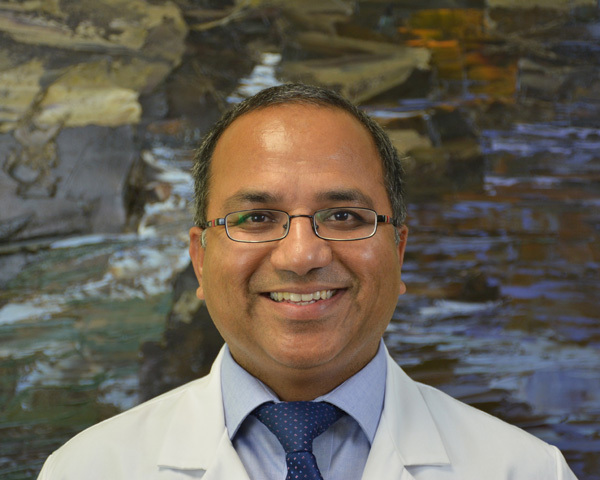 "DMHC team, especially our dad’s physician, Dr. Rayomand Bengali, has been outstanding to work with, keeping us informed, and showing such caring and commitment to their patients. They provide a service we cannot get from the traditional HC system by being on site in the patient’s daily environment to assess their needs and status. Best decision we have made in caring for our dad." "...[David] Curl visited and checked on Mom very quickly and then called to give me a report on Mom. It really was nice to have a doctor you could go over her health issues and not feel rushed. I feel more comfortable knowing she has someone to check on her and not have to take her out of her comfort zone since she has dementia. I highly recommend!" 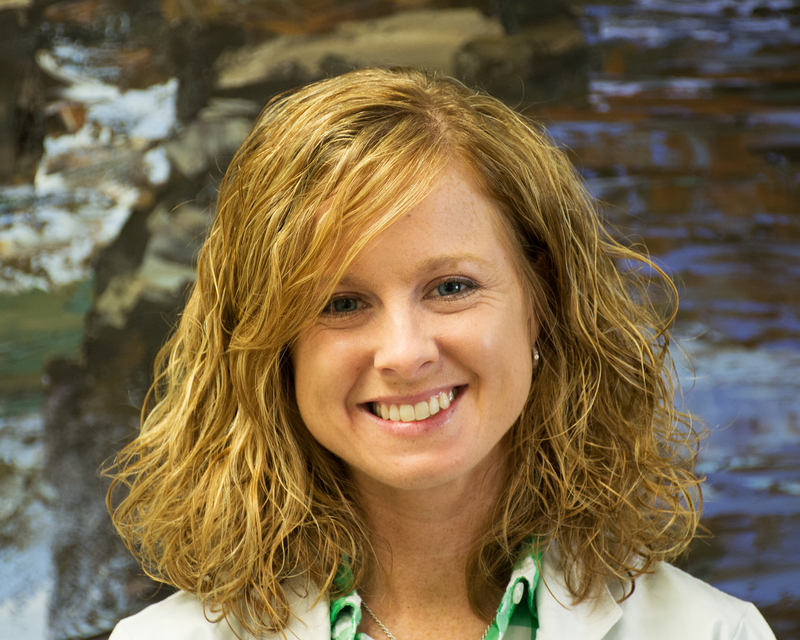 "Molly [Furey] in Gastonia has been so professional, thorough and helpful in getting my parents established as patients. She is communicating with my brother and me much better than any other medical provider they have seen over the past few years." 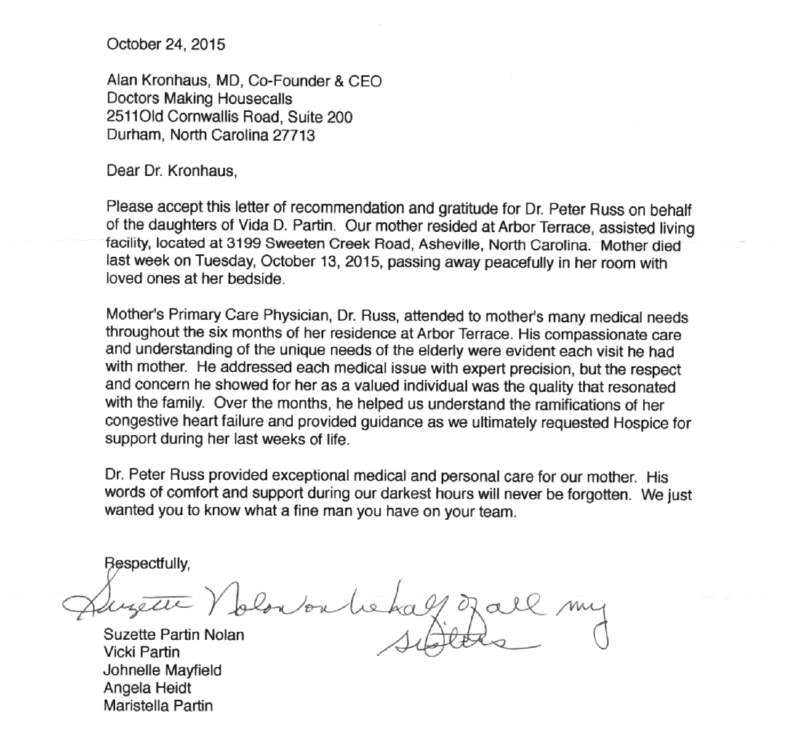 "I am extremely happy with the care Dr. [Kevin] Mikus has given my mother. He is attentive to her needs and gives us helpful information on each of his visits. He goes well over and beyond what we have expected." 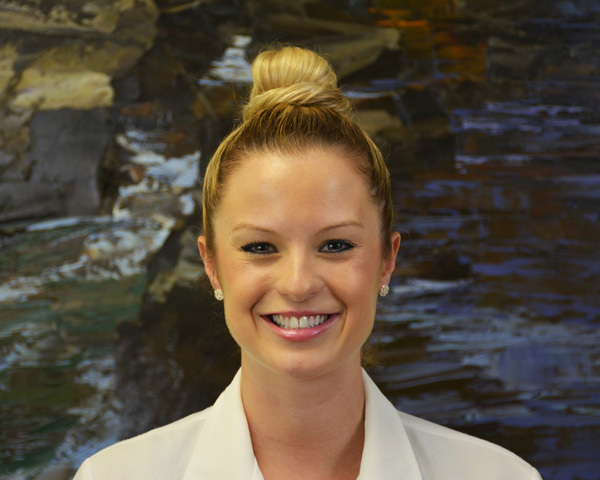 "I find our nurse practioner Maggie to be professional, thorough and most importantly, extremely personal and engaged. She really does care for my mom way beyond her blood pressure reading and medication dosages. I have found her to be extremely available and accessible when needed. Doctors making house calls also makes it easier for me and then I do not have to transport Mom all over town to get her the attention she needs."